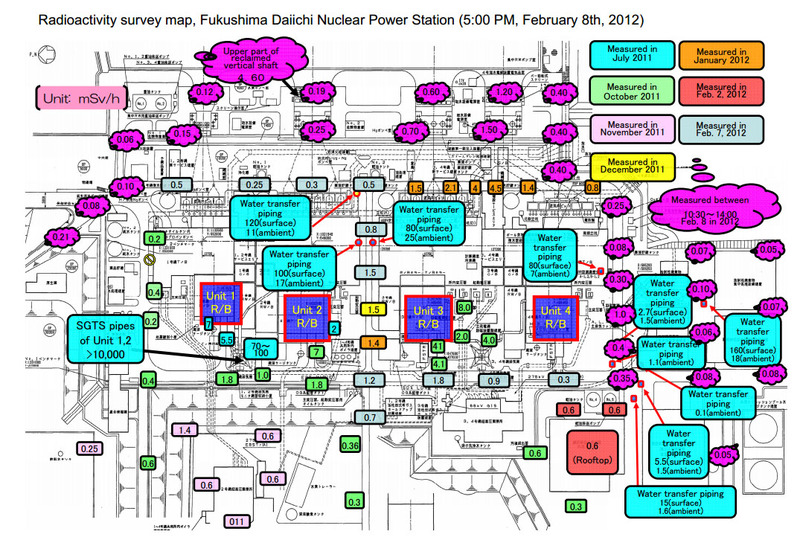 The newest maps showing radiation levels around the plant grounds are posted here. 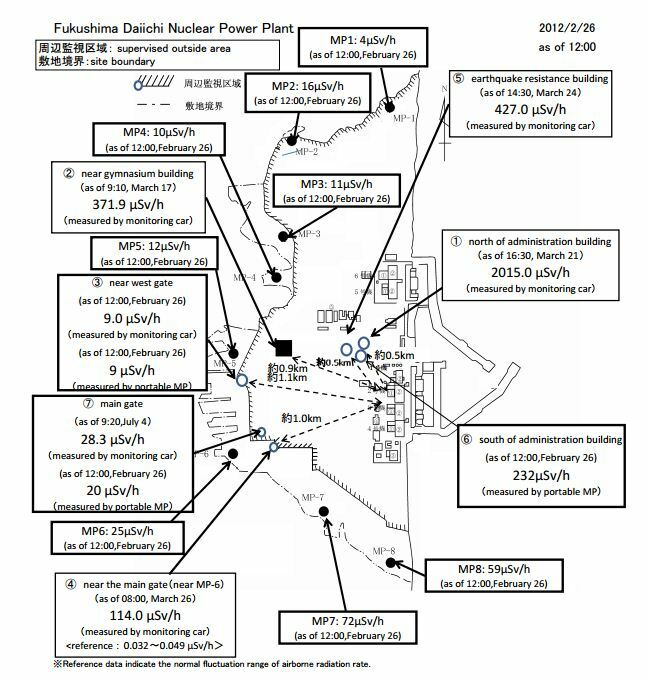 On these newest maps please note the high reading near the Administration Building of 2015.0 μSv/h. It appears to be the highest on that map. The plant complex map has a reading of note. The SGTS, this is part of the venting system that runs into the vent stack. It has a reading of 10,000 mSv/h. 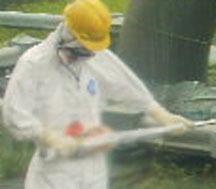 This is a worker standing next to the unit 1-2 vent tower near where that 10,000 mSv/h reading was taken in late 2011.